Home » Tamil » Photos » Photos: Karthik Subbaraj, Prabhu Deva in all smiles at Mercury promotions! Dressed in a white and blue, actor-choreographer Prabhu Deva was all smiles as he interacted with the media along with the director Karthik Subbaraj. 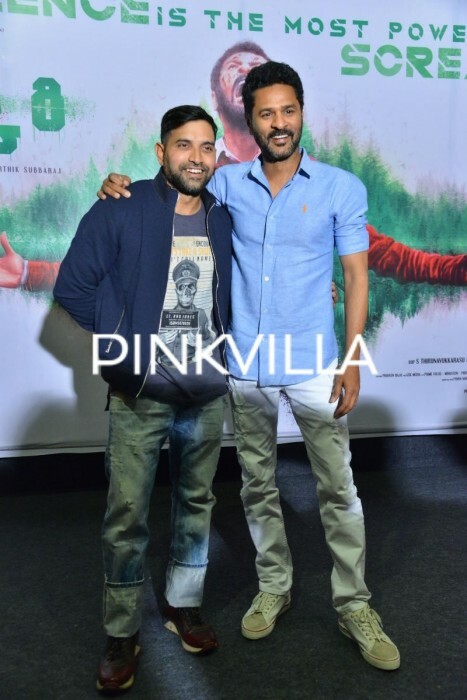 Photos:Karthik Subbaraj, Prabhu Deva in all smiles at mercury promotions! Filmmaker Karthik Subbaraj along with its lead star Prabhu Deva is gearing up for its upcoming silent film, Mercury. Amid the ongoing protest by the Tamil Film Producers’ Council (TFPC), the makers are aggressively promoting the film and are making sure it gets the best release in South. The stars of the film gathered yesterday for another promotional day yesterday. Dressed in a white and blue, actor-choreographer Prabhu Deva was all smiles as he interacted with the media along with the director Karthik Subbaraj. 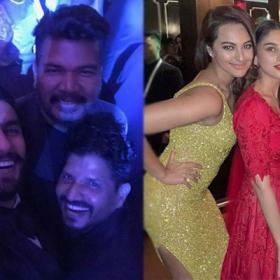 Well, there’s a lot of pressure on the makers over the release of the film but the director has stuck with the decision of releasing Mercury, on April 13 as announced earlier. 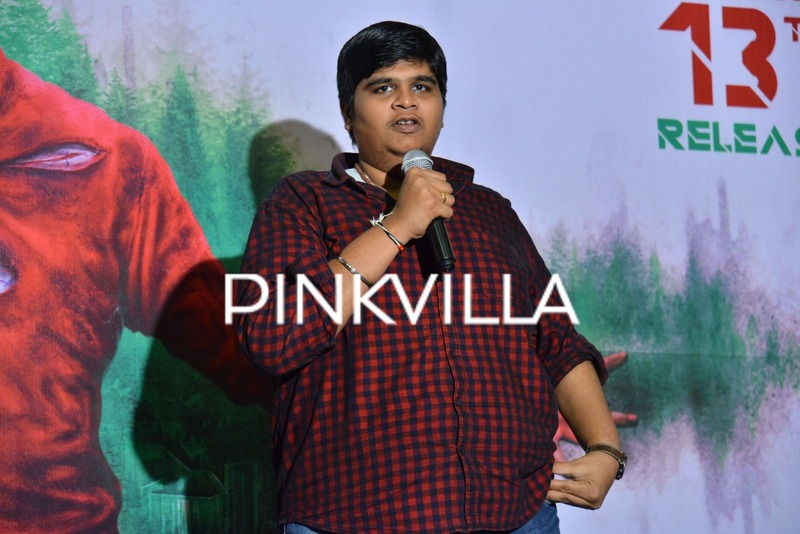 Director Karthik Subbaraj recently made it clear that the film will release in other languages, including, Telugu, Kannada, Malayalam, and Hindi, while the Tamil version won’t be released until the strike is called off by the Tamil film industry. “With utmost respect to the protests and band, we are postponing the trailer release of Mercury that was supposed to happen today. However, this being a silent film having a huge release globally on April 13. And cinema being bread winning profession for hundreds of our team members who has put in their sweat and blood into this film, we’re in a situation to move on to the release of the film. Hence the trailer will be released in a day or two. Looking forward for your support as always (sic),” he said in a statement posted on his Twitter page on Thursday, April 5. To uninitiated, Tamil film industry is on a total shutdown due to the dispute between producers and digital service providers over the issue of Virtual Print Fee. 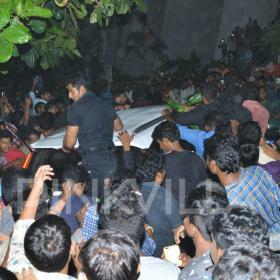 No release of the film or shooting will take place until all the demands are met. Talking about the film, Mercury is a silent thriller about five longtime friends who come together for a high school reunion and what turns up next with them is sure to keep you on the edge of the seats. The film also stars Ramya Nambeesan, Sanath Reddy and Idhuja Ravichandran in main roles.